Does luck exist? When fighting in Iraq, US Marine Logan Thibault finds a picture of a beautiful woman. He doesn’t know why, but he keeps it in his pocket at all times. Shortly after, Thibault begins a lucky streak, winning poker and surviving countless explosions. Thibault’s luck gets to the level where his fellow Marines don’t trust him, no man could be that lucky. It is his friend Victor who points to the picture, Thibault’s “lucky charm”. After he gets out of Iraq and back to Colorado, Thibault realizes that he owes this woman who saved his life. He sets out on a journey, to walk from his home in Colorado to Hampton, North Carolina with his dog Zeus. When he gets there, the story really begins. He meets Beth and her son Ben. Things could not possibly be better for the three of them, until Beth’s ex. gets involved. The reason Thibault came to Hampton, the reason he survived Iraq, could also be the reason he leaves. He might need a little more than luck to fix this one. 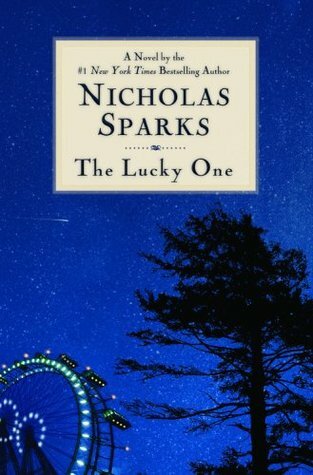 The Lucky One is a fantastic, well-written novel about destiny, recovery, and family. This story will have you laughing one moment and in deep concentration the next. Nicholas Sparks does a great job using point-of-view to make this story come to life. Every chapter alternates from Beth’s, to Thibault’s, to Clayton’s perspectives. Sparks also does a nice job with flashback. The way the whole story comes together is through Thibault’s war flashbacks. Sparks always keeps the reader guessing, there is no way to know what is going to be on the next page. I would recommend this book to teenage girls who enjoy books about romance and like to be surprised. With all of the twists and turns in this book, it will definitely keep you reading.